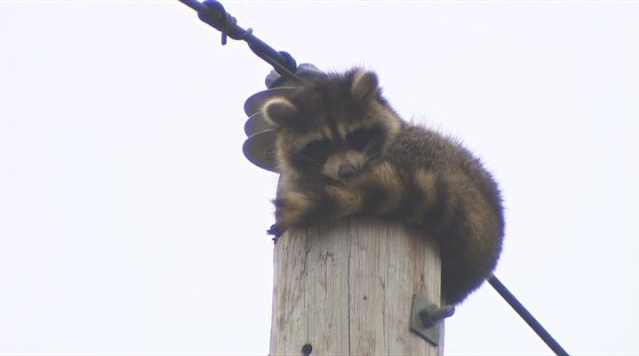 A poor raccoon that was stuck on top of a high-voltage electric pole for three days is safe after townspeople, police and the power company banded together to get him back on the ground. Neighbors in Berlin spotted the animal on Thursday morning and posted about it on social media. 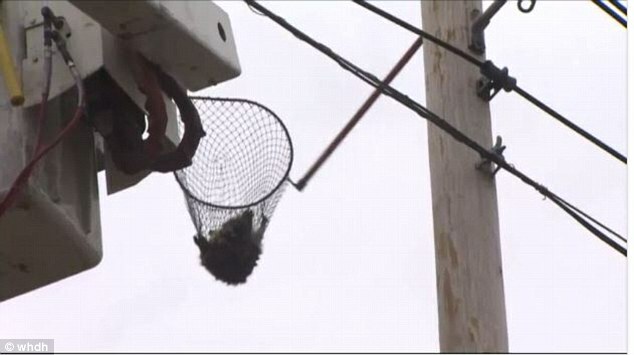 The team was able to corral the raccoon into a large net and get him on the ground, but the rescue attempt didn't end there, according to WHDH. The raccoon, who was injured and dehydrated, was able to slip out of the net and he made a break for it before being recaptured after scampering for more than a hundred feet. Danielle Genter of the ARL team was able to chase him down and get him in a transport cage. She said: 'The rescue went about as smooth as we'd hoped for, in a high traffic street.' The little guy was brought to a wildlife rehabilitation center for medical attention and recovery. 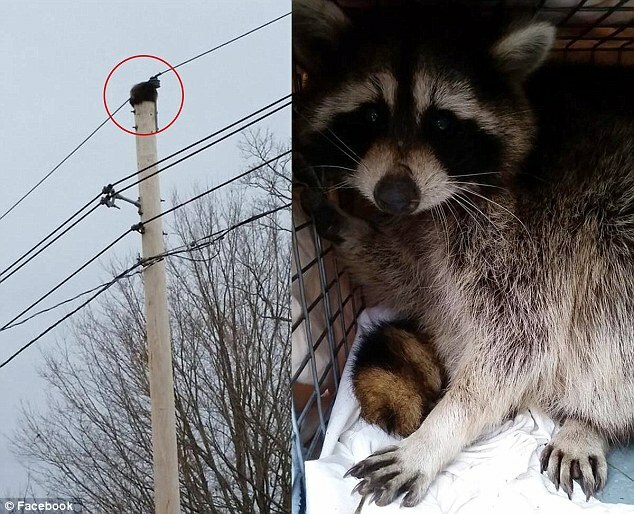 Responses to "Raccoon rescued after 3 Days being stuck on top of high-voltage electricity pole"
Great bunch of people! Great rescue everyone.